Facing a move of any type is surely not on your list of favorite things to do. The challenges of dealing with all the steps in making a relocation from beginning to end is sure to be a daunting task. It’s important to consider hiring professional movers to help you if you’re moving to Howell Township, NJ. This will help alleviate the stress and allow you to leave the heavy lifting to others. At Jersey Shore Moving & Storage, Inc., we want to make any transition easier for you and our Howell Township movers can help! Making a move to a new area is sure to pique more than your curiosity. You are sure to want to know some things about your new home. When moving to Howell Township, you can expect to be among an approximate population of 51,075, according the United States Census completed in 2010. If you’re a movie buff, you may be interested to know that World of the Wars was filmed at this location in 2005. Tom Cruise was one of the mega stars in this action-packed film. If you enjoy history, you may want to spend some time at The Living Torah Museum. This is sure to keep you entertained for a good part of the day and help increase your knowledge database as well. Be sure to ask your Howell Township movers for other places for you to enjoy. There certainly isn’t a shortage of shopping and dining options in this area. You may want to spend a day at Howell’s Commons and choose the latest styles for you or your family members. There is a variety of dining options for you to enjoy while doing your shopping. At Jersey Shore Moving & Storage, Inc., we want to help ease your mind and your load and our Howell Township movers can help. 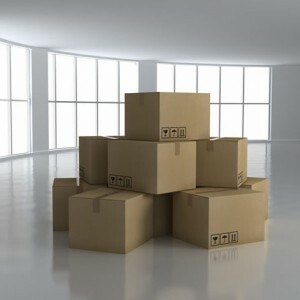 Be sure to give us a call at 732-295-9988 set up your next moving date!